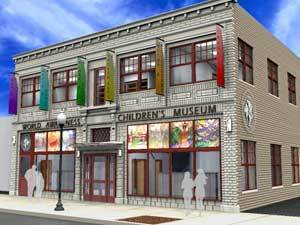 The World Awareness Children's Museum of Glens Falls NY is a unique venue with cultural exhibitions for any age. Opening at its new location at 89 Warren Street in 2009, the museum is excited to call Glens Falls NY home. The museum is a great place for families to spend a day experiencing cultures from around the world. The hands-on activities and artifacts at World Awareness Children's Museum will teach children an appreciation for cultural diversity. The Glens Falls NY museum even features a collection of artwork done by children from all over the world though the International Youth Art Exchange. Visit the museum's regularly changing exhibits and special events. The World Awareness Children's Museum is always looking for help! Find out more about Donating or volunteering your time at the museum by calling 518-793-2773. Read about the Children's Museum's International Art Exhibition!